Rubenerd: Blog spammers now using targeted advertising? Blog spammers now using targeted advertising? Despite the attacks from all sides and dismissal of it's relevance, I generally still value comment systems on blogs, even if some royal jackarses abuse the system. For the sake of brevity though I'll discuss that idea on a separate post. One such abuse of the system is of course blog spam. I've had an issue with it on this blog since I started using a blogging system that supported blog comments, but I've noticed the steady stream only really started turning into a deluge this year. Akismet does a good job of filtering the bulk of it, but a dozen or so messages do manage to appear in my moderation folder every day. What I've noticed especially in the last month has been that bulk spammers have been getting smarter. Instead of blanketly posting comments for viagra, dodgy enhacement products or fake university degrees on any blog post they can attach to, they seem to now be taking advantage of the metadata associated with posts to do some crude targeted advertising. 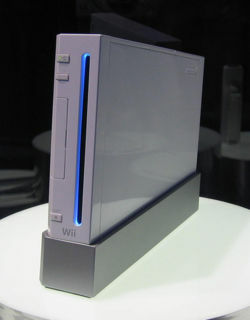 For example, I posted a very small entry back in 2006 about the disassembly of the Nintendo Wii, but merely because I tagged it with "nintendo wii" I've had literally hundreds of spam messages attempt to force themselves onto it talking about cheap controllers, games, Wii Fit pads, the works. What surprises me is that spammers didn't figure out how to do this years ago. If an unsuspecting blogger doesn't have activated spam protection, you could do some real damage while passing it off your junk as legitimate comments. Or at least more legitimate than customised diplomas with no study required on a post about grilled cheese sandwiches. Mmm… grilled diplomas. Newer post ← Ten fresh new Rubenerd Fun Facts!